That afternoon, he sat in his room at the village inn, chin propped in the palm of his hand. He had sat in the same place in a similar position since arriving just after sunrise, unable to come up with a new plan. Stretching, he jumped to his feet and walked toward the window. The afternoon breeze blew cool against his face as he watched a lizard bask in a stream of sunlight. A slow smile spread across his face. He spun toward the door and hurried to the parking lot. Coming out of the shaman’s shop, he carried a brown envelope tied with a red string. He slid into his car, opened the glove box and slipped the envelope inside. In the dead of night, Kit parked on the side of the road a mile from the crossroads where he had waited the night before. He opened the glove box and took out the brown envelope. From it, he withdrew several sheets of silver-foil, pressed into reddish-brown folding paper made from the sacred sakaki tree. He then shook several cream-white flowers into the palm of his hand. Standing at the edge of the forest, he folded one sheet of silver foil sakaki paper into the shape of a tree. He whispered the requisite arcane word and the paper tree disappeared in a puff of blue-gray smoke. In place of Kit, a flowering sakaki tree grew. In his tree disguise, he breathed in shallow puffs and waited. At 4 a. m., the light from will-o-the-wisp came into view. Kit stood still, letting the night breeze tickle his boughs. As the creature drew near, its light grew from a speck to a blaze. So close did it stand that Kit could feel the heat of it. In one hand, he held a small tanto blade, taken from a Kumo the night before. The knife’s hilt rippled in his hand with the life of the spider it had once belonged. Poison dripped from the metal tip. Whispering a curse, that to the untrained ear sounded like a whirling wind, he stepped from his tree disguise and plunged the knife deep into the glowing, flame heart of the demon. The creature screamed with agony and turning abruptly, slammed a fiery fist against the side of Kit’s head. The next instant, darkness swallowed his mind. When he woke, Kit lay on the ground beside his compact car. Morning dew misted its green metal skin and glass. When he tried to stand up, hot pain shot across one side of his face. Wincing, he limped toward the driver’s side mirror where he ducked and peaked at his reflection. The right side of his face was a raw, blistered mass. He shuddered and looked toward the place where the remains of the monster lay in a charred, black pile. Relieved, Kit slid to the clothe upholstery of the driver’s seat, closed the door and sank back to collect his wits. On the passenger’s seat lay a tiny sprig of yellow flowers and purple berries. He smiled and lifted it to his nose. The pungent scent of cinnamon filled his senses. He peered through the front windshield and saw a small, white fox swish her tail in his direction and then scurry into the forest. “Momoko, you are very welcome,” he whispered, knowing he would see her again. The next night of the new moon, Kit sat in darkness atop a stone edifice, shintai near the shrine at the crossroads. He waited for the road god, Chimata-no-kami to appear. It was he who planted the shintai centuries before to protect travelers from epidemics and evil spirits. From his perch, Kit searched from one crisscross in the road to the other, knowing the beast from Momoko’s terrible tale should travel through this forest and approach at the demon’s hour. Kit had less than one hour to wait. The pungent scent of pine burned his nose. He woke to whispered words and found the wizened face of Chimata-no-kami bending close to his ear. Kit looked up to find a will-o-the wisp disappear between the dense foliage beyond. He slid from the shintai and hurried toward the light. As he did, he slipped his hand into his pocket and pulled out a thin square of rice paper that fit in the palm of his hand. He tore a fingertip size hole in the paper and dropped the torn piece to the ground. He then tucked the remaining paper piece safely inside his empty pocket. As he followed, the light slowly disappeared until darkness surrounded him, like a living thing with tentacles ready to suffocate and strangle him. It was then he heard them creeping through the thick underbrush, coming from all sides. Kit slipped his hand into his pants pocket and felt for the remaining rice paper sheets. He pull one free and folded the crisp sheet into the shape of a wasp. Then he set the creation in a clump of leaves near his feet. He drew out a second square and smoothed the creases into a lantern that he held and blew. He whispered, “Ju-Fu!” His breath entered through the base of the lantern, turning scarlet as it filled the insides. One last puff sent the lantern afloat just above his fingertips. At his feet, the buzzing wasp came to life. He knew by the pulse of her heart beat when she lifted from the ground and flew toward the tree limbs above. The place where others of her kind hid. Within moments, the air-filled with more buzzing wasps as they headed in the four sacred directions: North, South, East and West. Kit knew that each female would first strike the half human, half spider Kumos sending poison through their veins that would paralyze them. The wasps would ding holes to bury each dupe and then lay their eggs on top so that the newly hatched larva could feed on their immobilized victims. Kit cringed at the thought of such suffering. But if the Kumo had reached him first, their venom would have melted his insides to syrup that they would hungrily slurp down their gullet. Drawing in a deep breath, he took out the folded square of paper with the torn hole in its middle. He held the open knot to his eye and saw the place where the torn out piece still lay. Then he shifted and ran on four paws toward the crossroad. When he stopped, he stood beside the shintai once again. He frowned knowing Momoko’s monster must have sensed his presence and that was why it sent the Kumo. Kit’s next approach would need greater stealth in order to destroy it. Wind chimes rattled. Fireflies twinkled and danced. Mesmerized, Kit stood at the entrance to the tea house, gripping the door in a half-open, half closed stance. Night and a warm breeze at his back, the cool whir of a ceiling fan made the electric lights seem to flicker while the spicy scent of cinnamon blew into his face. He stared across the room, his mouth agape, where she sat in a booth near an open window. White curtains of hair hid her face. A sprig of yellow flowers and purple berries clasped the center of the drapery facing Kit. When she turned, one curtain of hair fell across her shoulder. Her eyes flashed ruby-red before they turned chocolate-brown. A corner of her pink lips lifted in a teasing smile. He released the door and made his way toward her. The cinnamon scent grew stronger as he approached and sat down. She pulled the sprig of flowers and berries lose, placing it on the table in front of him. “I know who you are, Kit Sanjin and I have need of your special skills.” She purred. A sly smile spread slowly across Kit’s face. He looked down at the charm and with a single motion, swept the sprig to the floor. It floated to the wooden planks where fruit and flowers wilted to brown. At the indiscretion, her eyes flashed blood-red. For a moment, the vixen’s face showed itself. The fluff of tail danced in the shadow of the lantern’s light. He drank hot green tea and slurped savory, fat udon wheat noodles as she told him a tale of unspeakable horror., her voice hushed and tragic as she spoke. “For the last three months, at every new moon, a bright light has appeared in the forest. Terrified, we cringed in our burrows. The next morning, the newest litter of pups was found slaughtered in their nest, ripped from limb-to-limb. Their heads bitten off and missing. The mother fox lay nearby dazed and half-dead, covered in the blood of her children while blackened char covered the ground outside the den. Before he left the tea house that night, Kit slipped a square of rice paper from his jacket pocket and proceeded to fold intricate creases into the form a fox. When he sat the kitsune on the booth, two tiny eyes glowed ruby-red from the paper folds. the first volume in the riveting Action/Adventure series: Legends of the Demon Shapeshiters. During a time of civil war, Kenshi Sanada is born the son of a powerful warlord. When he is still a child, a rival clan storms his family castle. Helpless to save them, he can only watch as a nightmarish creature murders his father and mother and most of his clan. Barely escaping with his life, Kenshi is spirited away by the king of the Tengu. The shape-shifting spirit raven leads him to the hidden retreat of a sect of mystic warriors who practice the magic of Shugendo. Six years have passed and the time has come for Kenshi to leave his protected lair and face his demons in the world beyond. But the fiend that haunts his nightmares is also the one that shattered his life. More than a bad dream, the creature wants him dead. In Legends of the Demon Shapeshiters: Tengu Prince, nothing is as it seems. Shape shifting creatures, both good and evil, populate the magical world of feudal Japan. And a young man could pay the ultimate price for a deadly rival spawned in the mists of time. This riveting first volume of an epic fantasy adventure will leave you stunned and begging for more. 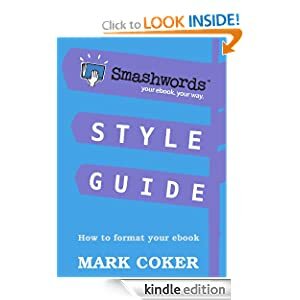 New Writing Information: Tips Etc. 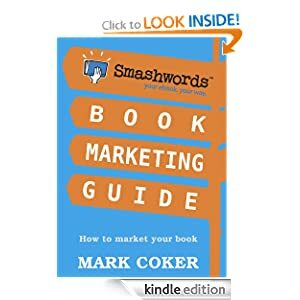 After spending a long weekend at the OWFI conference (http://www.owfi.org/) earlier this month, I came back with tools to hopefully get my epub books out there and selling. 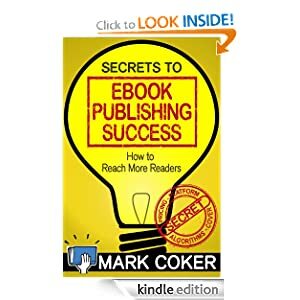 One hint I learned from Smashwords guru, Mark Coker is that the cover is many times the first thing a potential reader will see and evaluate as it whether or not they want to pick your book up from the shelf in the brick and mortar bookstores or take a peek at it online. So, yesterday I spent many hours working on new covers for all three books either currently available for Kindle or that will soon be available there. Here are my three new covers. I would love feedback k from you as to what impact they make. The sessions with Mark Coker were among the BEST, in my opinion at the Oklahoma Conference (http://www.owfi.org/). 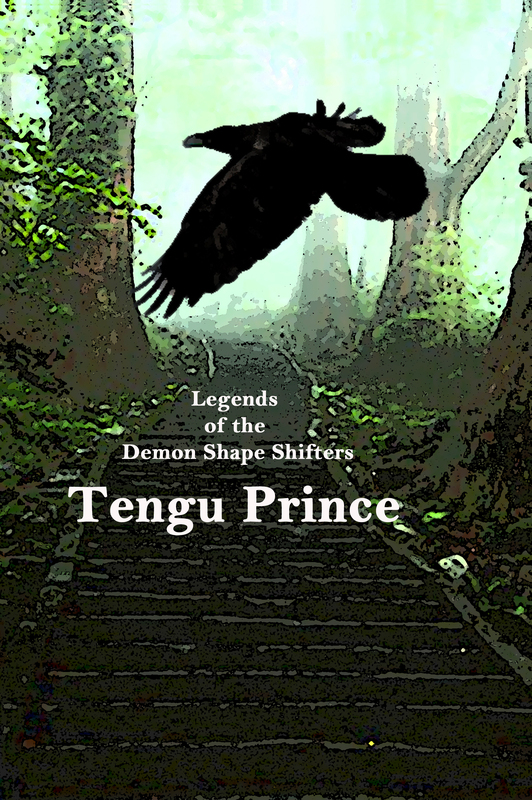 New cover for Tengu Prince was created using composites of photographs and Photoshop. What if you found out you were not completely human? During a time of civil war, Kenshi Sanada is born the son of a powerful warlord. When he is still a child, a rival clan takes his family castle. Helpless to save them, he can only watch as a nightmarish creature murders his father and mother right before his eyes. Barely escaping with his life, Kenshi is spirited away by the king of the tengu. The shape-shifting raven leads him to the hidden retreat of a sect of mystic warriors–mountain priests who practice the magic of Shugendo. Six years have passed and the time has come for Kenshi to leave the mystic’s protective lair and face his demons in the world beyond. But the fiend that haunts his nightmares is also the one that shattered his life. More than a bad dream, it wants him dead. 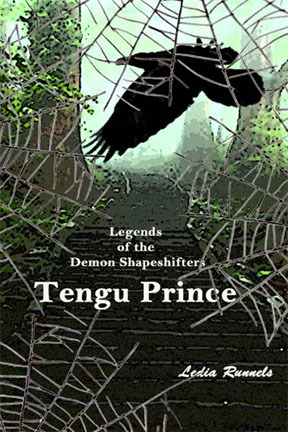 In Legends of the Shape Shifting Demons: Tengu Prince, nothing is as it seems. Shape-shifting creatures, both good and evil, populate the magical world of feudal Japan. And a young man could pay the ultimate price for a deadly rival spawned in the mists of time. This riveting first volume of an epic fantasy adventure will leave you stunned and begging for more. 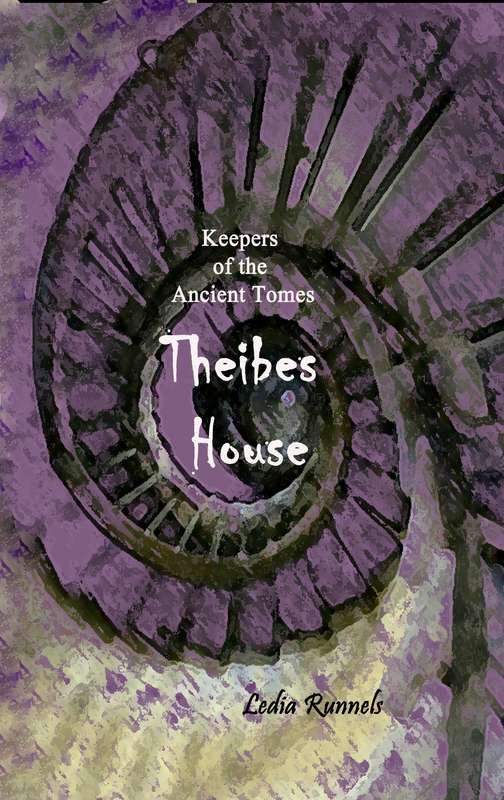 New cover for Theibes House was created using composites of images and Photoshop. Being the youngest son… can lead to murder! After his wealthy mother dies, Thaddeus Theibes is furious to inherit a pittance portion compared to his older brother’s lion’s share. But when a besotted admirer bequeaths him two books of power, Thaddeus’ life will never be the same. And neither will the ill-fated denizens of Breton Washington. Set on the windswept coast of Washington State, in the late 19th century. During a time when a serial killer stalks and slaughters on the streets of London and a mad man cuts off his ear in pursuit of artistic genius, a gentleman from a prominent and wealthy family becomes the keeper of magic, created in the ancient past. At first Thaddeus thinks he has acquired a great find to add to his antique book collection. Until mysterious and terrible things begin to happen to everyone around him and the finger of blame is pointed directly at Thaddeus himself. New cover for Black Obelisk was created using photographs of images and Photoshop. I am the most proud of this one. It turned out so beautiful! For the past ten years, since he and his widowed mother moved to Theibes House, the family’s Victorian mansion on the luscious Washington coast, a ghost he calls the gray lady has haunted him. But it’s his nightmares of a soul-sucking obelisk that have caused him the most trouble. So when a renowned archaeologist begs him to come to the rainforest, deep in the African Congo where the tip of a giant, black obelisk is “growing up” out of the jungle floor, Charlie is intrigue. Especially since his nightmares are about a phenomenon such as this occurring in this same place. But what are the glyphs that swarm like insects around the dark column and why does the obelisk feel “alive” to the touch? A dark secret, traced back to antiquity, may have the answers to stop the terrors that haunt Charlie awake and asleep It may also hold the key to keeping an unimaginable horror from ripping apart the very fabric of the world. 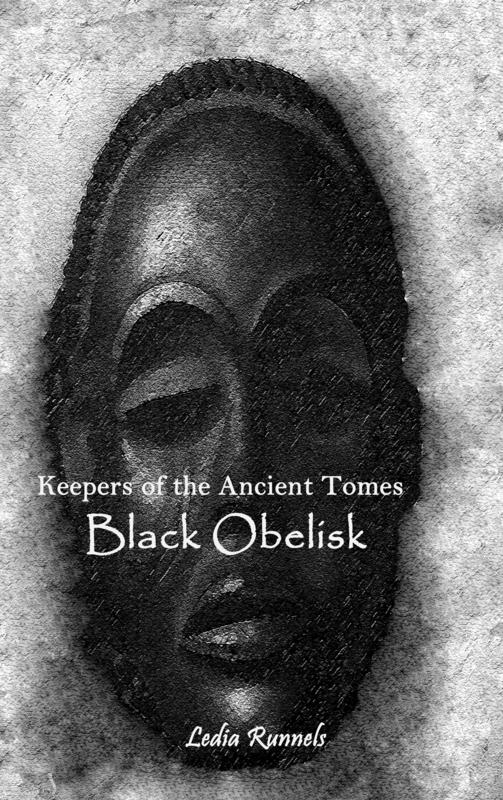 In Book Two of the epic adventure, Keepers of the Ancient Tomes, Black Obelisk will have you turning pages and breathless until the last word. 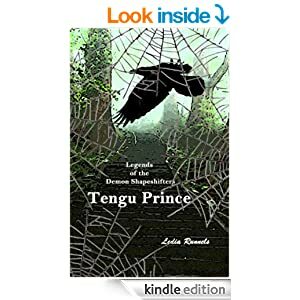 WHO IS THE TENGU PRINCE? During a time of civil war, Kenshi Sanada is born the son of a powerful warlord. When he is still a child, a rival clan takes his family castle. Helpless to save them, he can only watch as a nightmarish creature murders his father and mother right before his eyes. Barely escaping with his life, Kenshi is spirited away by the king of the tengu. The shape-shifting raven leads him to the hidden retreat of a sect of mystic warriors–mountain priests who practice the magic of Shugendo. Six years have passed and the time has come for Kenshi to leave the mystic’s protective lair and face his demons in the world beyond. But the fiend that haunts his nightmares is also the one that shattered his life. More than a bad dream, it wants him dead. In Legends of the Hengeyokai: Tengu Prince, nothing is as it seems. Shape-shifting creatures, both good and evil, populate the magical world of feudal Japan. And a young man could pay the ultimate price for a deadly rival spawned in the mists of time. TWELVE MONTHS OF WRITING WORKSHOPS! On the summit of Moon Mountain, the last fire-shards of sunlight glistened against the remnants of spring snow. Dusting the ground and the upturned roof of the shelter where Hinata Jintori stepped beneath, into the narrow space. A frozen wind blew the hem and sleeves of his robe as he broke the skin of ice that covered the stone basin. Scooping the chilled water, he drew his cupped hands toward his lips where he sipped and then rinsed his mouth of impurities. He spat the warmed water onto the ground and then shook loose the freezing droplets from his fingertips. 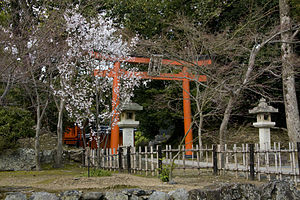 Having completed the purifying ritual, he turned and made his way toward Sakura Jinja, a smallish shelter, enclosed by four walls, that stood a few short steps away. Into the narrow entryway of the Cherry Shine’s outer sanctum, he crossed. A few steps beyond, he moved into the heart of the holy place. Only the rasping shuffle of his sandals against the wooden floor and the sound of his breathing broke the silence of approaching twilight. Illuminated by the soft glow from a lantern, a silver platform occupied the direct center of the room. On the platform sat a wooden cutout, carved from the sacred Sakai tree into the shape of five cherry blossoms. Five tiny bells dangled, one each, from the five petals, “Shards of the Sakura Hooseki”–the “Cherry Jewel.” Multihued lights flickered between the shards, accompanied by a soothing drone–like the whir of hummingbird wings. From the topmost petal the blue-sapphire bell hovered over the jade-green bell on one side with the ruby-red bell on the opposite petal. In turn, the green bell swayed above its golden sister while the pulsating ruby-red bell bled into the brooding bone-white shard beneath it. As he entered the room, Jintori lifted an incense burner from its place on the wall and lit the brass bowl that hung from the end of an ornately carved cherry tree branch. Standing beside the silver pedestal, he waved the bowl over the breathing Shards, sending tendrils of scented smoke that filled the room with pungent sweetness. His warm breath formed a cloud in the frozen air as he chanted, “The Spirit Shard for the renewal of inner Chi.” At his words, the blue shard beamed with an azure glow. He continued the chant, “The Shaman Shard for physical healing.” The jade bell shone with a verdant light, while the sapphire bell grew dim. “The Death Shard ripped from the land of Yomi.” The ruby bell dimmed while the bone-white bell glowered like a skinless skull.